As Russia’s largest and best organised ‘horizontal’ community in Russia, football fans have found themselves at the centre of governmental attempts to control informal groups, write Irina Borogan and Andrei Soldatov. Perhaps more surprisingly, they have also become guinea pigs for international data exchange programmes, with Russian authorities picking up the very worst of surveillance practices from their foreign colleagues. Back in April 2002, Europe took a key step towards creating a pan-continental system of keeping track of fans’ movements. The Council of the European Union decided that National Football Information Points (NFIP) should be established by national police forces within each member state. The purpose of these NFIPs was be to facilitate information exchange on football supporters and fans who supposedly present a high level of risk. These include those individuals who might set off flares in the ground, those who shout politically incorrect slogans or those who have been involved in disturbances. The main goal of the data exchange was to prevent such fans from attending international sporting events by banning their entry into the country concerned. To this end European countries compiled registers of supporters who have come up on their radar, updated in advance of every championship. Russia is neither a member of the EU nor has an NFIP been located within its borders, but this has not prevented it becoming an active participant in the data exchange scheme. Indeed, information about Russian fans has already been distributed across the globe via international police networks. 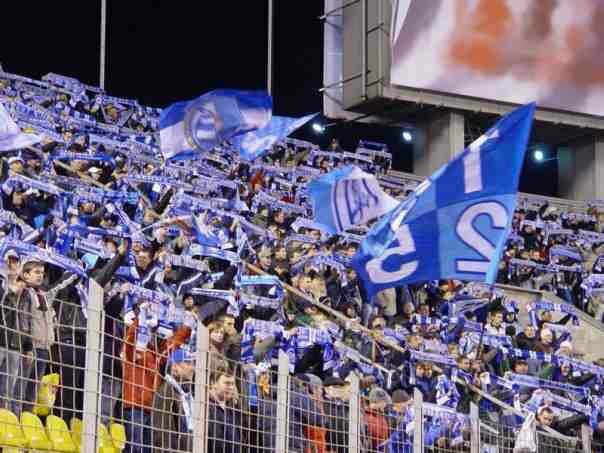 On 19 October of this year, for example, seven Zenit St. Petersburg supporters were banned from crossing the Ukrainian border while on their way to Donetsk for a match with the local club Shakhtar. They had yet to commit an offence of any kind. Ukraine is, of course, not the first country to have banned Russian fans. For some years now Russian fans travelling to their favourite clubs’ matches abroad have had problems crossing state borders. Until recently, however, these were individual cases affecting a handful of people at most. In this case, it transpires that the blacklist Ukrainian authorities received from Russia stretched to 100 supporters. According to Alexander Birsan, the first Deputy Chairman of Ukraine’s Euro 2012 National Agency, this shows the system is working well. “Troublesome supporters now understand that Ukraine has a working database”, he said. The official confirmed that football hooligans from various countries are listed in databases by UEFA uses this information whenever it considers it necessary to limit such supporters’ access to matches. Maxim Korotin, a.k.a Rabik, is a former leader of the ‘Yaroslavka’ CSKA fan group. Described by some supporter as a notorious enough figure on the terraces, his image belies the image most middle class Muscovites would have of a hardened fan: aged around 30, he is of average height and completely average stature. Korotin: ‘In 2007 I travelled to Tel Aviv, as our national team was playing a match there. When I arrived at Ben Gurion airport I was stopped at immigration (even though I had a valid visa). I was finger-printed, photographed and told that according to their information I had organised football disturbances and would be deported back to Russia on the next day, as indeed I was. Getting information from Russian officials about how the data exchange works on the ground is a near impossible task. When we submitted our questions the appropriate department within the Moscow Directorate of the Interior ministry, the deputy head of that department, Yekaterina Khrenova, refused to talk to us, citing a ban on communicating with the media. Interpol’s National Central Office in Russia also refused to provide us with information, while the MVD Directorate for Cooperation with the Media has not yet responded to our request. The ‘Football Handbook’ is a voluminous manual that defines how EU countries should cooperate to prevent football-related violence at matches with an international dimension. In accordance with this document, any exchange of information with countries without NFIPs such as Russia has to be handled by specially established contact points. The Football Handbook distinguishes ordinary football supporters from those who pose a risk of violence. For ordinary supporters it proposes exchanging data on their number, identification, banners, involvement in speculation, information on bookings at hotels where they intend to stay before the matches and the forms of transport they intend to use to enter the country. Where, in the eyes of the police, fans may pose a risk, this list expands to include information on tattoos, nicknames, alcohol abuse and patterns of behaviour, right up to potential response to their team’s victory or defeat, behaviour during interrogation and their attitudes towards representatives of various football clubs. We don’t actually reproduce this list in its entirety, but suffice to say that it resembles the Soviet-era check-list that people were tested against in order to get a job or university place. Here, however, the standard measure of that era — being “morally robust” — is replaced by “providing dignified answers when interrogated”. The level of data exchange varies with country. 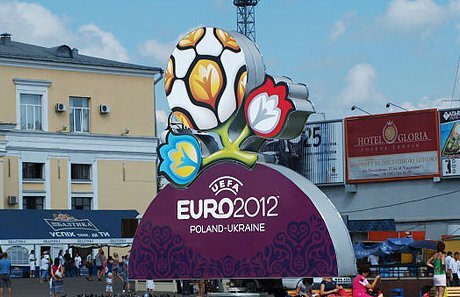 A questionnaire we sent out suggested that some thirteen members of the scheme — Austria, Belgium, Bulgaria, Estonia, Switzerland, Spain, Germany, Slovakia, Slovenia, Sweden, Great Britain, Serbia and Ukraine — had exchanged information on football supporters with Russia, Belarus, Japan and other countries. But each country only seems to provide as much data as it has been able to gather: some countries such as Belgium, Bulgaria, Serbia and Sweden only rarely exchange information on supporters’ nicknames, for example. Active negotiations are currently underway to secure a new and expanded agreement between Russia and Europol, since the current agreement, signed on 6 November 2003 is considered ‘insufficient’. According to Soren Kragh Pedersen, Europol’s Media and PR Director, the document only allows for the exchange of ‘strategic information’ on football supporters. That is why active negotiations are underway to sign a new agreement, which would cover both strategic and operational cooperation. The Russian delegation at the third round of these negotiations, which took place in The Hague in July of this year, included officials from the Ministry for Internal Affairs, Ministry of Justice, the Foreign Ministry, the Federal Security Service FSB, the Customs Office, the Procurator General’s Office and the Investigative Committee. Russia’s football supporter community is a huge movement that relies on ‘horizontal’ links between supporters, who gather voluntarily in official fan clubs and a plethora of informal groups. Their participants vary widely – from ardent supporters attending all their favourite teams’ away matches to thugs who organise attacks on members of the political opposition. 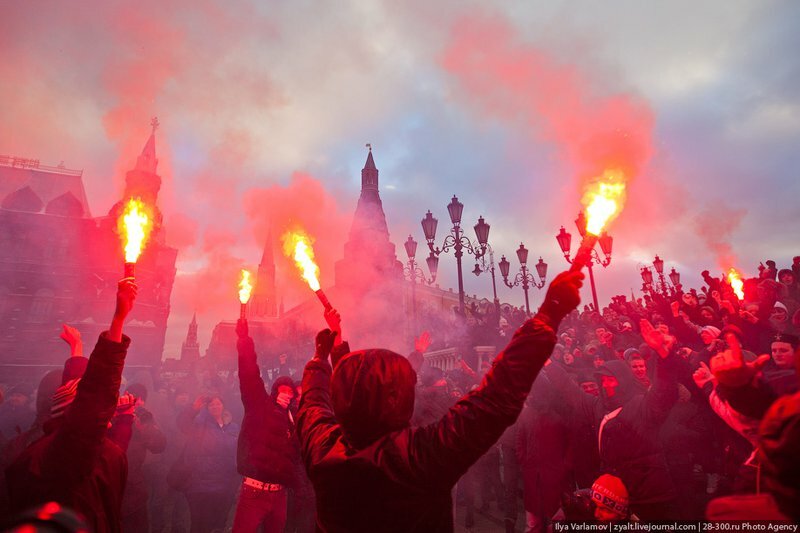 The football fan movement has continued to attract the attention of the authorities by organising campaigns in support of an impartial investigation into the Moscow murder of football supporter Yegor Sviridov, which led to mass protests in Manezhnaya Square on Dec 11 of 2010 (resulting in 10 people being injured). The situation had become so heated that Vladimir Putin met with leaders of football associations in order to urge them not to participate in disturbances. The video is shot by Owl Computing UDP systems, and show supporters of the Dagestan team on 27 May 2011 entering the stands before the match between Anzhi Makhachkala and Locomotive Moscow at Locomotive’s stadium in the capital. Faces of some fifteen hundred Anzhi supporters were recorded, with their identities established by comparing the images taken by the cameras with photographs from passport application forms. The number of such committed fans in Russia as a whole is estimated at a minimum of 100,000. According to fans themselves, Spartak Moscow has the largest following, with some 40,000. CSKA has 17,000, Dynamo Moscow 5,000 and Locomotive Yaroslavl 8,500, in addition to several other clubs, all of which are informally linked with one another. Fans report that these supporter networks - especially its leaders and more active members - have been long subject to police surveillance. It is no longer such a surprise, for example, for them to receive visits from the local police, for example, or to be summoned to the infamous Moscow Police HQ on 38 Petrovka Street. Newspapers and bloggers periodically publish documents suggesting that teachers in schools and colleges are being forced to compile lists of students who ‘belong to supporter groups’. Oleg Semyonov, director of the official Spartak fan club, told us in a telephone interview that he knew of undercover police attending matches around Russia in order to obtain video footage of the stands. All the information they gather is, it would seem, entered into a special police database, which first Deputy Minister for Internal Affairs Aleksandr Chekalin admitted to back in 2005. According to Chekalin, the unified database was a ‘purely preventative’ measure; even back then, the database contained some 1500 names. Now, it is likely to number substantially more. Moreover, our sources report that the Interior Ministry have actually stepped up efforts to gather information on football fans and have recently adopted modern technology, in particular biometric facial identification. We also learned that before key matches, video streaming systems (UPTS) and digital cameras are set up near the turnstiles, and that the Interior Ministry then uses it for biometric identification and to search for offenders. When supporters pass through metal detectors, their faces are caught on camera and the image is processed by the system comparing it with the database that has been specially uploaded by the police (see our previous article for an explanation of how this works). Within the police force this biometric database has become known as fanaty [‘The fans’]. Given the scope of surveillance and intrusion, the European approach is itself hardly a model for observing democratic norms. Nonetheless, innovations such as this database, combined with the usage of Europol's approach, helps Russia to proceed further in its way to monitor closely groups of activists of any kind, and as a result deserves to be monitored very closely in the months and years ahead.